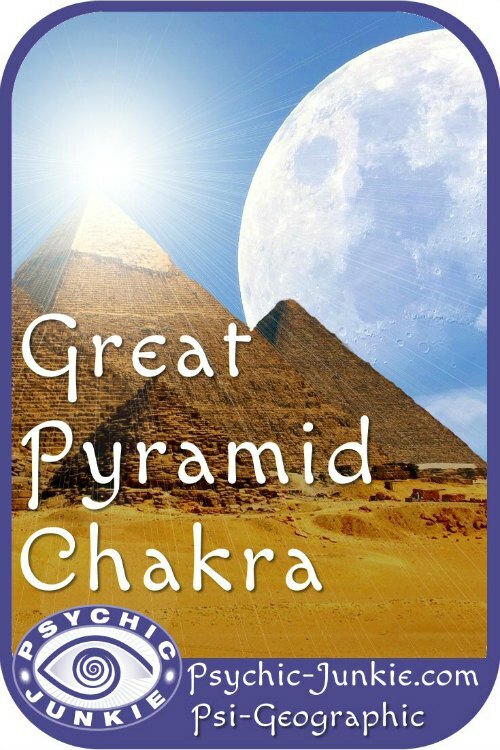 Earth's 5th Chakra is in the region of Egypt's Mystical Great Pyramid, Mt Sinai, and Mt.of Olives. Another great location to be included in our list of Spiritual and Metaphysical Travel Destinations. The 5th or Throat Earth Chakra is situated on three sacred sites – two mountains, made by Mother Nature and one pyramid, handcrafted by the ancients. You won’t find the reason ‘why’ using intellect. Perhaps, the throat chakra is on multiple locations because the Earth has much to tell us, at this particular time. If we deign to listen. This chakra is the only one of the Earth Chakras that doesn’t subsist on a ley line. This chakra is considered a bridge between Earth and Spirit. In the presence of 5th Earth Chakra energy, we go through a purification process, where the truth that resonates within can be heard. The ancients built the Great Pyramid on the Giza plateau in Egypt because it is the precise center of the Earth where energy is at its most powerful. Pyramid energy epitomizes the greater consciousness. Reportedly when standing on top of the Great Pyramid, people feel an inner tingling and sense the presence of a high energy field. Further, the Great Pyramid symbolizes the fusion of self and soul. According to ancient Egyptians, the pyramid shape represents the human body arising and ascending to the light. This could explain why Egyptians placed their Pharaohs in pyramid tombs. When protégées pursued the Divine within, spiritual initiations were held in the great pyramids. Within the sacred walls, seekers would experience the process of attaining enlightenment. Many secrets of realization were lost in time and only scant evidence of the Egyptian’s spiritual practices survived. No doubt, if your spiritual quest leads you to Egypt, exploring Giza is a must-do. However, only people in good physical condition should undertake this excursion, which includes a gracious plenty of going down tunnels and climbing up more. Paul Brunton (1898-1981) was a British philosopher, mystic, journalist and traveler. In his book A Search in Secret Egypt, he describes how, when travelling in Egypt in the 1930s he resolved to spend a night alone in the King's Chamber inside the Mystical Great Pyramid. Soon there was a circle of antagonistic beings surrounding him, 'monstrous elemental creations, evil horrors of the underworld' as he described them. Soon afterwards phantoms of a different aspect appeared - benevolent beings in the ceremonial dress of ancient Egyptian high priests. Mount Sinai is situated in the desert, between Egypt and Israel. It is the midpoint between the Great Pyramid and Mount of Olives. Here Moses was given the stone tablets containing the Ten Commandments. The topography is stark; bleakness and beauty juxtapose. Multi-dimensional energy here is pure and sweet. Most of the mountain remains untouched by humans: therefore, its nature is pristine, making Mount Sinai the perfect place to attune with the voice of Mother Earth. Sunrise viewed from the summit of Mount Sinai is insanely-gorgeous. You can either ride a camel, hike up the steep and narrow, rocky trail or climb 3,750 stair steps to reach the top. It takes about three hours by camel, but factor in time to stop at one of the huts for a rest, food and water. The rising sun bathes surroundings in an ethereal light. For a moment, it’s easy to disregard the harsh terrain and focus on the glowing orange circle in the sky. And the people are chanting, singing, praying in different languages. Rather than a cacophony, it is a harmonious convergence, which shows us we are all one. This is enlightenment in the true sense of the word. The Mount of Olives was named for its world-famous olive trees. Chances are, your first impression will be of the thousands of graves positioned on the mountain. Mount of Olives is considered a sacred cemetery by Jewish people, as they believe it the chosen place when the Messiah comes and that the righteous will be resurrected here first. Christians believe the Mount of Olives is where the Gates of Heaven will open on Judgement Day. Walking up the sharp-angled road is not easy, but once you reach the top, you’ll appreciate stunning, panoramic views of Jerusalem’s Old City. Take a slow-down to meditate, before starting back down the mountain. Ride Shushi, the one-humped camel. (Actually a dromedary, camels have two humps) It will prove an interesting experience and great photo-op. Before you leave the area, explore the Garden of Gethsemane. Seek out the 2,000-year-old olive trees. If you visit in late October, the trees will have exploded with olives. Go into the private garden. Find a serene spot to align with the beauty of nature and meditate in quiet energy. Mount of Olives is known as the holiest of holy mountains. Whether you have a religious persuasion, or not, it’s easy to appreciate it as a great spiritual place. Have you been enlightened in this location? Share your story and insight with Psi-Geographic here.